A long time ago, I met Mr Lui Tuck Yew when he was nobody. Okay, he wasn’t exactly nobody at the time. He was the outgoing Chief of Navy. But this was long before he became Transport Minister and even longer before Mr Brown wrote a song named after him. So as far as most Singaporeans were concerned, Mr Lui was nobody. Actually, even I didn’t know who he was — and I was an NSman in the navy that he was chief of. But it was because I was a navy NSman that I got to meet him. In 2003, I got a call from my coxswain (which is the term for the guy in charge of the ship’s crew who’s not an officer), asking me if I wanted to go to some sort of navy function. He said the magic words — “free food”. And that was how I found myself in the Chinese restaurant in the Mount Faber Safra clubhouse at Telok Blangah Way some days later. I still wasn’t sure what the occasion was. All I knew was that my commanding officer (CO) had bought three tables for the crew and my dinner was paid for. But I got restless waiting for the food between courses and to make small talk, I asked what exactly we were doing there. That was when I found out I was attending the farewell dinner for the Chief of Navy. And I heard the name “Lui Tuck Yew” for the first time. Someone pointed out the man of the hour to me. 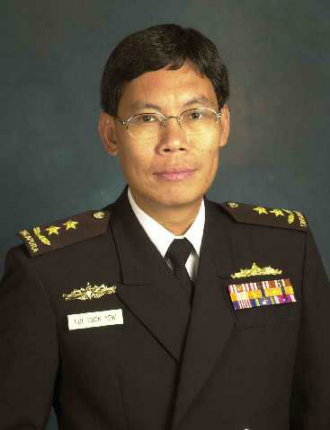 “That’s him?” My first impression of Rear-Admiral Lui was that he was one ugly guy. 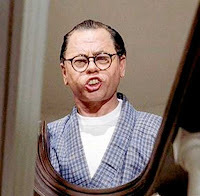 I’m sorry, but he reminded me of the awful Asian caricature Mickey Rooney played in the old movie Breakfast At Tiffany’s. Someone said there were rumours RADM Lui would run for office. By then, the next dish had arrived and I stopped paying attention. I had already forgotten RADM Lui’s name. Which made it a little awkward later when RADM Lui went around to visit every table like a newly-wed couple at a wedding dinner. I hoped he wasn’t expecting a hongbao. “Thanks for coming,” the future ex-Transport Minister said to me as he enthusiastically shook my hand like a long-lost acquaintance. I wanted to say he should thank our CO for buying three tables, but RADM Lui had already moved on to enthusiastically shake the hand of the next person like a long-lost acquaintance. Despite the rumours, he didn’t run for office immediately after leaving the navy. He became the CEO of the Maritime and Port Authority of Singapore and later, Deputy Secretary (Land) in the Ministry of Transport. He then became the CEO of the Housing Board in 2005. 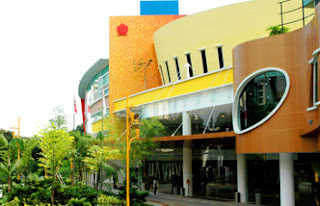 It was three years after I heard the rumours that they finally came true and Mr Lui ran for office in 2006 as a People’s Action Party member on the Tanjong Pagar GRC team. 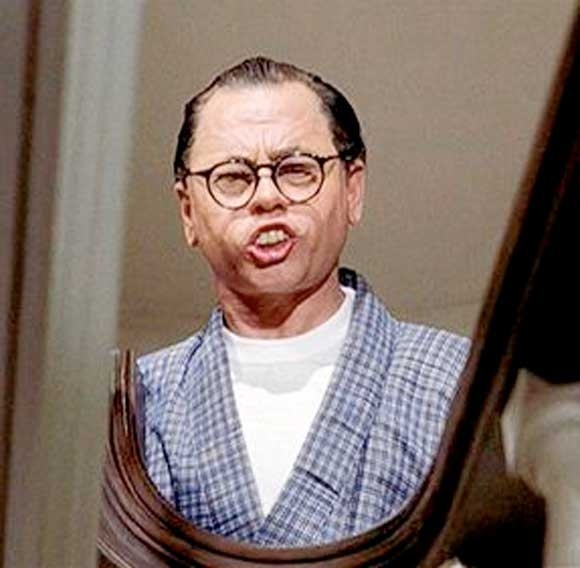 And last week, after nine years, news broke that Mr Lui would not run for re-election. But as Transport Minister, he has been blamed by many for the MRT train breakdowns. There’s even a Facebook page called “Singaporeans Demand Lui Tuck Yew to Step Down Now”. We did it!! !Lui Tuck Yew finally stepping down - three years after we made the call!Good job Singapore! Mystery solved. Mr Lui is leaving politics because of a Facebook page with 2,818 likes. But in the wake of his resignation, many have also come to the Transport Minister’s defence. I wonder myself why the Land Transport Authority (LTA) isn’t held more accountable for the breakdowns. Isn’t LTA also responsible for our transport system, hence its name? By the way, the CEO of LTA, Mr Chew Men Leong, is another former Chief of Navy — and no, I wasn’t invited to his farewell dinner. You may ask, why are two ex-navy chiefs in charge of our transport system? Because you take a fleet of ships, slap some wheels on them, put them on tracks and what have you got? Trains! So why isn’t there a Facebook page called “Singaporeans Demand Chew Men Leong to Step Down Now”? Probably because as far as most Singaporeans are concerned, Mr Chew is still “nobody”, like Mr Lui was when I ate free food at his farewell dinner in 2003. Twelve years later, Mr Lui is saying farewell again, but he’s not “nobody” any more. This time, I won’t forget his name. Partly thanks to that Mr Brown song. Indeed, Tuck Yew is a Man Of God. He unfortunately inherited a Portfolio which was plagued with problems, technicalities and flaws. It was Raymond Lim and Saw Phaik Hwa who caused the Transport woes and debacle and they should have been taken to task. Tuck Yew had to settle in quickly and without any learning curve was placed immediately in the super hot seat for what his predecessors had screwed up. My respect for a Man who took up the challenge and walking in the footsteps of Jesus who bestowed him with Wisdom and Knowledge in tackling these pressing issues. Those big wigs from the Ministry of Defence are "scholars". Since they are so bright they can do practically any big job, and are placed on dual career tracks (Winston Choo not included). I understand they have an armed forces rank and a twinned "elite" Administrative Service rank when in service. Without these elite warriors and totally meritocratic administrative geniuses where would Singapore be today, I mean, with the exception LKY, Rajaretnam, Othman Wok etc etc. who had a gullible and destitute population, and luck, a broken heart and communists and racists, and a great passion and tiny emoluments to push them on and on? Like me, even the Opposition who are laying the foundations for a first world parliament ( Japanese? British, Taiwanese, Korean; Israeli, Malaysia? French? German? US?) has a soft spot for resigning geniuses and suspect there must be something fishy. On my part I really should not worry because there will always be a super job waiting...!